The ICT (Information & Communications Technology) and Broadcast industries occupy a pivotal position within the greater South African economy, contributing as much as 10% to the country’s Gross Domestic Product (GDP). 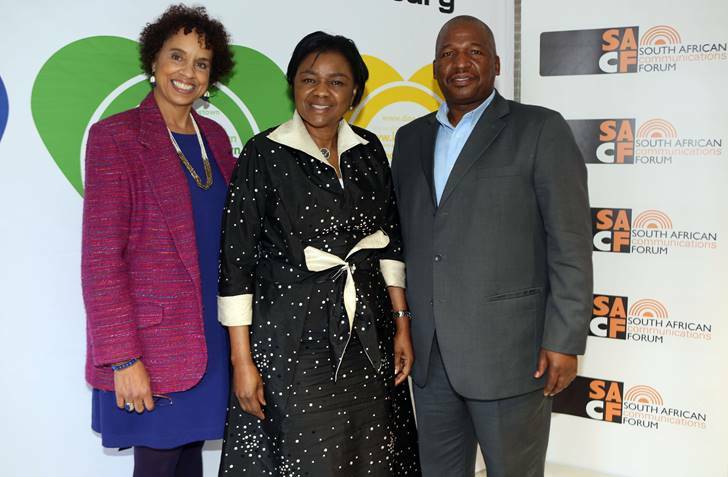 “Not only does ICT inject a much-needed R95 billion into the local economy annually, the fact that the sector is a very visible one means it has the capacity to change perceptions and to advance South Africa’s transformation goals,” said Deputy Minister of Telecommunications & Postal Services, Professor Hlengiwe Mkhize. Prof. Mkhize who will be one of the speakers at the Awards Gala Dinner on 2 October at Vodacom World Dome applauded the country’s only awards aimed at rewarding the twin ideals of innovation and transformation that also seek to recognise progressive individuals who have changed the game play when it comes to ICT in both the public and private sectors. SACF chairperson Lucky Masilela said that by providing a platform for identifying worthy ICT personalities who have spearheaded innovative and transformational initiatives in the sector, the Forum was staying true to its empowerment agenda. “The SACF aims to reduce inequality by broadening participation in the ICT sector for the ultimate benefit of every single South African,” explained Mr Masilela. The contribution, benefit and positive impact on society and identified societies that the nominee has made, Challenges faced and how these challenges were overcome in order for the nominee to be recognised as a leader in the sector, The nominee’s length of service in the ICT sector and other important projects which the nominee has contributed towards in order to advance the local ICT Sector. Nominations are not limited to members of the SACF and are open to members of the South African ICT industry. Members of SACF include industry leaders such as Vodacom, MTN, Telkom, SABC, Broadband Infraco, Cell C, SA Post Office Sentech, Dimension Data, Neotel, eTv, Ericsson and Huawei, amongst others. As a Platinum SACF Member, Vodacom was assigned the lead role in managing the SACF ICT Achievers Awards. For more information on the nomination process for the SACF ICT Achiever’s Awards please email nominations@ictachieversawards.org.za.